You may think that buying a new smartphone is a straight choice between Android and iOS, but have you considered all the different types of Android out there? Manufacturers like to put their own spin on Google's mobile OS, with the results varying in quality. 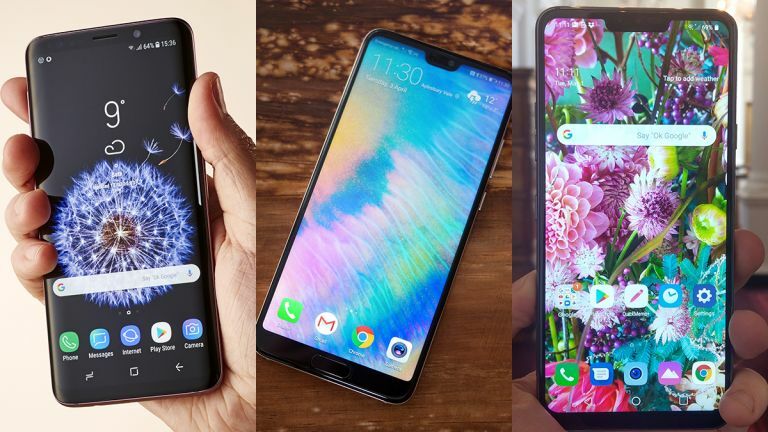 Here we'll break down in detail what you can expect from Samsung, HTC, Huawei, LG and OnePlus phones when it comes to the software running on the handsets. It might just help tip the balance between two of these phones when it's time to pick up a new device. Google used to install what was called "stock" Android on its Nexus phones, but with the Pixel phones it's added a few extra bells and whistles – essentially, the version of Android on the Pixel phones is the new stock Android. It's largely simple and intuitive, with a search bar at the bottom, a bespoke weather and calendar widget at the top, and a simple swipe up getting you to all your apps (at least until Android P arrives anyway). Everything is very Google-y – you can swipe right to see a news feed or stories picked by Google, or press and hold on the Home button to bring up the Google Assistant. If you want Google's ultimate vision of what Android can be, this is the OS to go for. Samsung calls its version of Android "the Samsung Experience", and while it was bloated and unwieldy in its earlier incarnations, it's trimmed down some of the fat and added plenty of useful features to make it a strong competitor to Android on the Pixel phones. Google remains ahead in terms of simplicity and overall design, but the Samsung Experience gives you a pile of extra tweaks and customisations to try out. You can reconfigure the buttons on the bottom navigation bar, for example, and there's an integrated theme manager, so you can change the look of the software with a few taps. Samsung's Android looks great, works fast, and has plenty of options as you dig down deeper into it. Samsung's own apps for email, the web, health and so on can't really compete with Google's, but it's in a strong second place. HTC Sense is the name of HTC's brand of mobile OS, based on Android, and it takes a more minimalist approach than Samsung does – there aren't as many changes from the core code base that Google makes available to everyone. Most recently, HTC added Alexa as an option for the digital assistant built into Sense. Like the Samsung Experience, HTC Sense features plenty of customisation options, so you can easily change up the look of the phone if you don't like the way it came out of the box. You can transform the entire visual theme if you want, and there are a handful of custom widgets to take advantage of too. The BlinkFeed app does a good job of trying to emulate the Google Assistant-powered feed that Google throws up, and HTC has cut down on the number of inferior apps it tries to foist on users in place of the Google ones. It's a really solid effort, with some extra settings (like gesture controls) that Google should borrow for its Pixel phones. Huawei is the same as Samsung was a few years ago, in taking quite a heavy handed approach to Android customisation. Its version of the mobile OS is called EMUI (previously Emotion UI), and it comes with a few interesting apps as well as various tweaks on what you would consider stock Android. It definitely has some quirks – there's no app drawer by default for example, and Huawei's design approach leaves quite a bit to be designed. On the up side, the built-in camera interface comes with a host of manual controls that you won't find in most integrated camera apps. Again there are lots of useful customisation options, but Huawei's own-brand apps – and there are quite a few – can't compete with Google's. Overall there's good and bad here, but the bottom line is if you're choosing a Huawei phone, then you're probably choosing it because of the hardware. As with the other manufacturers we've mentioned here, the main different you'll notice in LG's skin – called LG UX – is in the increased number of customisation options, letting you adjust the way the software looks in terms of widgets and wallpapers and so on. Like the Huawei EMUI skin, there's a lot of focus on the camera, and so you get plenty of manual controls and filters to play around with as you snap your pictures. More recently, LG has added in smart, AI-powered photo mode selection to improve the end results. The visual flourishes that LG has added are relatively appealing without really improving on the card-based Material Design that Google's main Android interface uses. Overall though, you're not going to notice too many differences between this and the Android software on the Pixel phones. OxygenOS is the OnePlus version of Android, and as with the OnePlus phones themselves, there are some interesting ideas here – there's a dark mode theme, for example, and some custom gestures you can set up for controlling your phone. By and large OnePlus takes a light touch with its customisations, and in terms of visuals it's not all that different to the software that Google puts out for its phones. One nice extra is Gaming Mode, which blocks incoming notifications and hides the navigation bar so you can focus on getting some new high scores with minimal lag. Add in some neat theming features – like integrated support for icon packs on the Google Play App Store – and this is one of the best Android skins out there. We wouldn't say it beats the original exactly, but it's close to doing so, and the tweaks OnePlus has applied are thoughtful and useful.